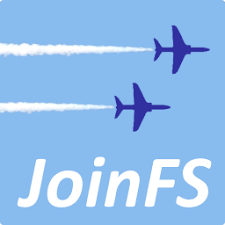 MAS has adopted JoinFS to bring pilots from FSX, FSX-SE, and P3D together in one area, so you can fly together regardless of your Sim version! MAS will continue to host FSX-SE servers in the interim, but for the majority of pilots having JoinFS is all you will really need! 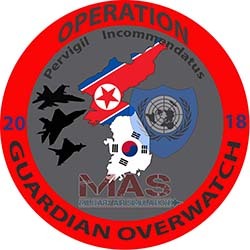 Operations were conducted in the defence of South Korea, where skirmishes lead to air actions against the opposing forces. JoinFS with FSX@War and CCP missions kept pilots busy throughout the OP, and particpation from RAF Wing, RCAF Wing, Fliegerstaffel 17 were key to its success. We do a couple of Operations every year! Check out our Active OP Page for more details, and check us out our latest photos on Facebook as well! FSX@War and CCP Use in Servers! 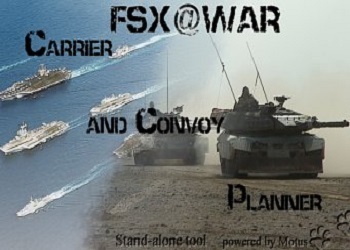 The release of FSX@War, Carrier and Convoy Planner, and FSCAI has allowed our Squadrons to integrate mission objects, AI, and threats into our new Operations! Want to start your flight on the deck of a Carrier? Need moving targets to hit? We are adding convoys, targets, and carrier fleets on our TacPack Servers during Ops - regularly! MAS is always evolving, based on new technology or software that is available. 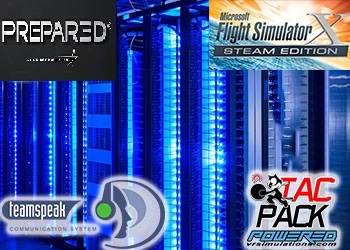 We currently have two FSX STEAM based TacPack servers available 24/7, and with JoinFS, P3D pilots can join the fun now too!